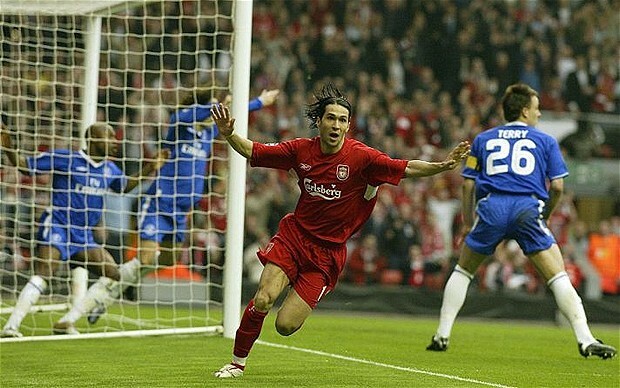 FA Cup Semifinal, Liverpool vs Everton (7:30amET; FSC & Fox Deportes): A Merseyside derby at Wembley. Liverpool have been in rotten form, in the league at least, winning just 2 out of their past 10 league fixtures, sinking to 8th in the table. Meanwhile, Everton has been experiencing their typical late-season resurgence–three wins and a draw in their past 4 league matches have actually put them one point above their rivals in the standings. There has much been written about the 10-year anniversary of David Moyes’s tenure at Everton–during which he’s generally been praised for guiding Everton to respectable finishes in the league, but which is conspicuously free of trophies. This FA Cup seems like a chance to finally remedy that. 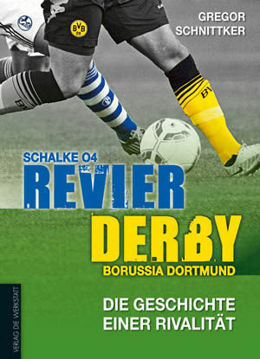 Bundesliga, Schalke 04 vs Borussia Dortmund (9:30amET; GolTV): The Ruhr derby–or, in the German, the Revierderby—is the biggest rivalry in Germany. (Indeed, entire books have been written about it, it seems.) Dortmund are coming up a huge win over Bayern on Wednesday, which put them in the driver’s seat to win the Bundesliga. But Schalke, themselves 3rd in the table, will be looking to trip up their hated neighbors. Schalke are led by the legendary Raul and the prolific Klaus-Jan Huntelaar up front. Their battle against Dortmund’s center-back pair of Mats Hummels and Serbian(-American, albeit briefly) Neven Subotic will be interesting. The latter had a very good game Wednesday, shutting down Bayern’s Mario Gomez. At the other end, Dortmund’s attacking pair of Shinji Kagawa and Robert Lewandowski are equally dangerous. Eredivisie, PSV vs AZ (12:45pmET; ESPN Deportes & ESPN3.com): PSV have had a very poor couple of months, dropping down to 5th in the table. But they’re still only 4 points behind 2nd place AZ Alkmaar, who are themselves 3 points behind 1st place Ajax. The player to watch on PSV is deep-lying playmaker Kevin Strootman, who’s been called “the future of the Oranje midfield“–and who has lately been linked with Manchester United. La Liga, Levante vs Barcelona (4pmET, ESPN, ESPN Deportes & ESPN3.com): Barça are entering a challenging stretch, with the two Champions League semifinal ties against Chelsea next Wednesday and the following Tuesday–and El Clasico squeezed in between, next Saturday. But for the latter match to be of consequence, Barcelona has to keep winning. They should beat Levante, but they’ve looked vulnerable on the road, and Levante has much to play for–the sit 5th in the table, two points behind Malaga and a spot in next season’s Champions League. FA Cup Semifinal, Tottenham Hotspur vs Chelsea (1pmET, FSC & Fox Deportes): Another derby in the other FA Cup semifinal. The two London clubs are battling not only on this front, but also in the league–for the coveted 4th spot. And Chelsea is also, somehow, still alive in the Champions League, with Barcelona visiting Stamford Bridge this Wednesday. A huge painted tarpaulin, weeks in the making, was passed over the supporters in the end. Republican flags, red, yellow and purple, were everywhere. The red and black of the anarchists. Ché Guevara banners and others appealing for the legalisation of cannabis. Not that it needed legalising on this evidence. Countless flags, Rayo’s red thunderbolt scorched across them. Song too: the Marseillaise, the Internationale, Yankee Doodle. It went round: end to the sunny side and back; end to shaded side and back again, like a drill sergeant, or Freddie Mercury yodelling with his audience. Lots and lots of noise. No one sat, not once. Instead they squeezed in, clapping and bouncing and singing. Even the half-time entertainment was different: a beast of a man celebrated his prize by parading bare-chested across the pitch waving a Republican flag. Minutes before, Mourinho had walked off down the tunnel and held a thumbs up to the end. Now, those are fans. Michu twice appeared to have missed his chance to play in primera – first he turned down the chance to play for Sporting because he is an Oviedo fan, then he missed a penalty for Celta in the play-offs – but now that he is here, he has been arguably the season’s revelation. He has 11 goals. Rayo have 32, more than any of the nine teams below them – all of them richer. That was in late February. He’s since scored four more, to take his total to 15–even with Fernando Llorente for 6th in leading scorer list. Now he’s being talked about as a possible transfer target for some of the biggest clubs in Europe. There’s a whole slate of FA Cup 4th Round matches this weekend, kicked off by a match today that is especially interesting for viewers on this side of the pond. Everton hosts Fulham, which means it’s also a faceoff of the two best American players of this generation: Landon Donovan vs. Clint Demspey. Who’s done better with the national team? Donovan. Who’s had a better European club career? Dempsey. Who’s got more endorsements? Donovan. Who’s been better overall the past 18 months? Dempsey. Who’s done more to grow MLS? Donovan. Who’s got the better chance to be the U.S.’s first European superstar? Dempsey. Donovan just rejoined Everton earlier this month on another short-term loan from MLS champions LA Galaxy. He had a successful loan spell with the Merseyside club two years ago, for three months at the beginning of 2010. Indeed, Everton wanted to extend the loan, but the LA Galaxy refused, and Everton manager David Moyes would have liked to have bought him–but Donovan’s valuation was too high (£10m) for the cash-strapped Everton. On the other hand, Dempsey has been in the English Premier Leauge full-time for almost exactly five years. He joined Fulham on a $4million transfer from the New England Revolution during the January 2007 transfer window, and made his Fulham debut on January 20, 2007. He’s since scored 42 goals in 169 appearances for Fulham–setting records for not only most goals by an American in England, but claiming the record for most Fulham goals in the Premier League era (since 1992). Donovan has played well since joining Everton on a short-term loan, often leading the attack and making Toffees fans wish he would stay permanently. Dempsey, meanwhile, is in the best form of his life. Think about this: the only Premier League players with more goals in all competitions this season than Dempsey (15) are Arsenal’s Robin van Persie, Manchester United’s Wayne Rooney and Manchester City’s Sergio Agüero — a trio worth a quarter of a billion dollars on the transfer market. 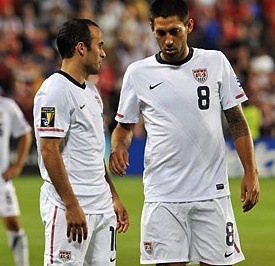 [Dempsey’s] quality seems forever caught in soccer’s peripheral vision. In part, he has suffered from the constant comparison to Landon Donovan; up against the U.S.’ wholesome, twinkle-eyed star, Dempsey’s brooding demeanor makes him an unlikely poster boy. Donovan’s injury-time goal against Algeria at last summer’s World Cup is seared on to the nation’s memory — even people who aren’t that interested in soccer could probably describe it to you. That it was Dempsey’s run and shot that created the opportunity, leaving the box open and the goalkeeper on the floor, is merely a footnote. On Donovan: see this post from December 2010, about Donovan deciding to pass on a similar loan deal to Everton last season, and this video of that aforementioned most famous goal in US soccer history. two [Fulham] players to watch: Costa Rican attacking midfielder Bryan Ruiz, who arrived from FC Twente over the summer, and seems like he’s only now adjusting and fitting in; and Belgian striker Moussa Dembélé, who also came over after success in the Eredivisie, with AZ Alkmaar, the previous summer. We wrote at the time that perhaps Fulham might have to choose between playing him and American Clint Dempsey–but they combined rather well last year, and from what we saw in their draw versus Liverpool a couple weeks ago, Bryan Ruiz is starting to combine well with the two of them. In case you missed it, watch the highlights of Arsenal’s 3-1 victory over Leeds yesterday, in a FA Cup replay (following the 1-1 draw a couple weeks ago). All four goals are worth watching: the first goes from Chamakh to Arshavin to Nasri in 5′; then crackers by Sagna & Bradley Johnson which made the score 2-0 and then 2-1; and then finally late in the 2nd half, after Wenger was forced to bring on Fabregas and Robin van Persie, the latter scored with a header off a great cross by Bendtner (didn’t think we’d ever have occasion to write those last few words). We’ve been having some discussions about Arsenal’s optimal starting lineup, sparked by this post by Coach Larry–in particular his inclusion of Jack Wilshere among his list of “Players who if they play too much kill their chances” (along with Denilson and Bendnter btw). Now young Jack Wilshere has been among the most lauded players in the Premier League this season, and he has been in Wenger’s top XI all season, as one of the 2 holding midfielders alongside Alex Song in Arsenal’s 4-2-3-1. The “3-1” part of the starting XI has been under discussion as well: Nasri and Fabregas are given; Arshavin (on the other wing opposite Nasri) and Chamakh (up front) rounded out the starting XI for the first couple months of the season, but with Arshavin losing form, Walcott coming on strong, and van Persie coming back from injury, the ideal front four has been part of the discussion too. My contention is he represents a non-ideal Arsenal formation. Song is a better tackler and reader of the game, Nasri, RVP, and Cesc all far superior in distribution and possession. I’d prefer to play Chamakh up top as he adds an extra dimension in the air others not named Bendtner can offer. Arsenal are so good at holding the ball, they just don’t need to have 2 ball winners in the center. I do like how Wilshere and Song work together, especially in their flexibility to cover one another, but ultimately, they’d be better served with more pure attack so they can turn their dominance into more goals. And, hey, you never know when Arshavin will return from his moon pod. The two historied English clubs played earlier today, in a 3rd Round FA Cup matchup at the Emirates. While today’s was an interesting match, their most famous FA Cup clash was on May 6, 1972 at Wembley–in the centenary FA Cup Final. 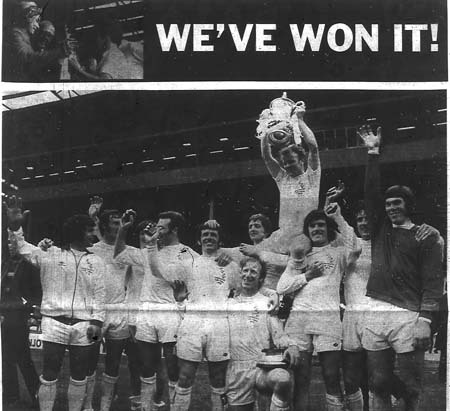 Leeds won 1-0 to win their 1st and only FA Cup. 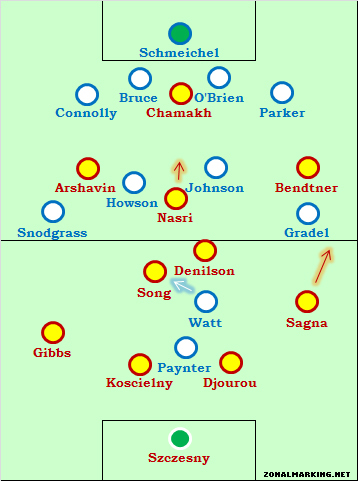 Unlike today, when it would have been a major upset for Leeds to hang on for a victory against Arsenal, in 1972 they were perhaps the two strongest sides in English football. 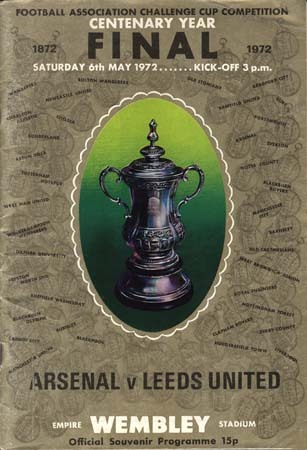 Arsenal had pulled off the double the previous season, winning both the league and the FA Cup, with Leeds finishing 2nd in the 1970-71 First Division table–just a single point behind the Gunners.